DRiiVE & Matrix Telematics have been pooling resources and recognised that fitting a black box to a vehicle is not a silver bullet. Duty of care does not end once the box has been fitted, regardless of how comprehensive the data gathered is and failure to act on such information makes it obsolete. DRiiVE services ensure that the comprehensive telemetry data is properly analysed and interpreted correctly to radically reduce Occupational Road Risk. ‘DRiiVE WiTH Matrix’ is proud to have been presented with a Highly Commended award in the Safety Solution category at the inaugural Safety and Health Excellence Awards 2018. The BSiF Safety Solution Award is awarded to those in the safety industry that have significantly improved occupational safety and health within the UK. 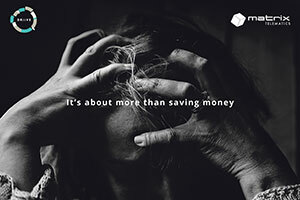 Clients have seen the impact that implementing ‘DRiiVE with Matrix’ intervention service has on fleet operations, from savings on insurance premiums, improved vehicle care, and the most important statistic, the increase in driver safety, which affects not only the company but other road users. It’s time for action, it is time to #ThinkOnYourFleet. This entry was posted in News and tagged Health & Safety. Bookmark the permalink.